Firefighters took part in training over the weekend with a driving simulator from the State Fire Marshal’s Office. REEDSVILLE — Firefighters from departments in southeastern Ohio participated in the State Fire Marshal driving training at the Olive Township Volunteer Fire Department on Saturday and Sunday. Chuck Stephens, the assistant chief and training officer at the fire department, said seven departments participated in the training. Stephens said the training was not only for the county, but for the state. Departments from as far as Vinton County showed up for the training. Instructors from the Ohio State Fire Marshal led firefighters through training simulators. Mike Isgett, one of the instructors, said there are three scenarios each participant must complete. The first is an orientation of how to start and stop the firetruck. In the second scenario, the fire truck is driven to a destination while watching for traffic and pedestrians. The final scenario is a mock emergency, which allows participants to learn the correct way to place the firetruck at the scene without putting emergency responders in danger of getting hit by traffic. 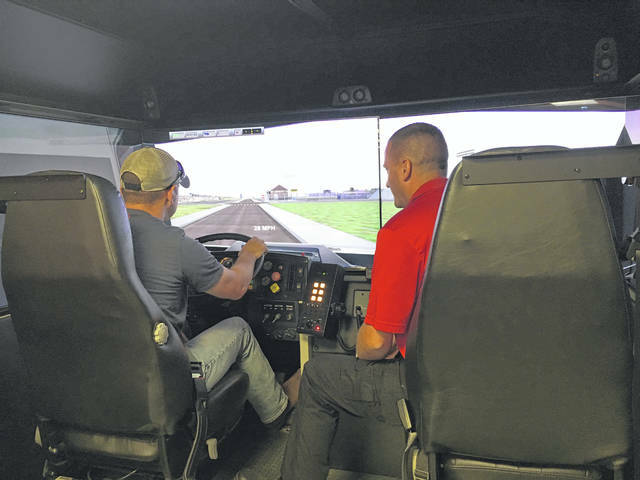 Isgett said the ultimate goal of the driving simulator is to reduce the line of duty deaths that sometimes occur from emergency vehicle accidents. The United States Fire Administration reported in the 2016 annual report that 89 firefighters died while on duty in 2016. 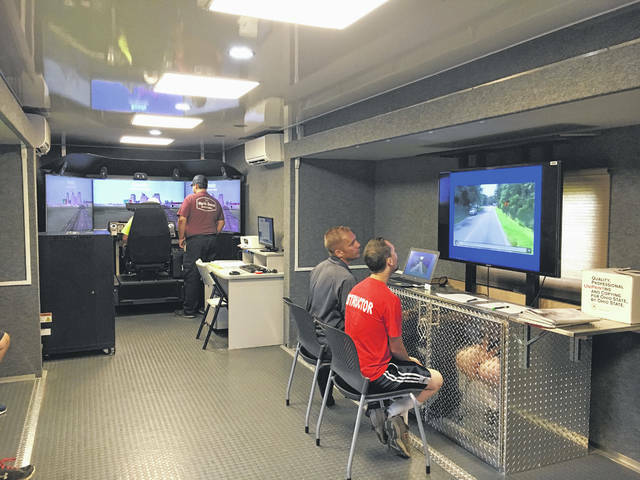 “[The driving simulator] doesn’t replace driving an actual emergency vehicle,” said Isgett. He added that it is the closest that firefighters will get without risking damaging the truck or putting someone in harm. https://www.mydailytribune.com/wp-content/uploads/sites/42/2018/07/web1_7.17-fire-driving-1-training_ne201871694218739.jpgFirefighters took part in training over the weekend with a driving simulator from the State Fire Marshal’s Office. https://www.mydailytribune.com/wp-content/uploads/sites/42/2018/07/web1_7.17-fire-driving-2-sim_ne201871694228310.jpgFirefighters took part in training over the weekend with a driving simulator from the State Fire Marshal’s Office.